Bellissimo Coffee Advisors is the specialty coffee industry’s leading consulting company. 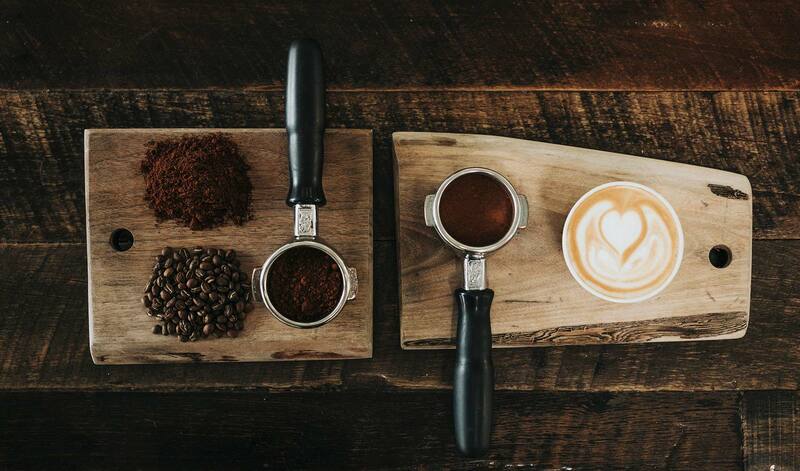 They specialize in sharing over twenty years of experience with businesses of all sizes, from representatives of large corporations to entrepreneurs opening their first coffeehouse. 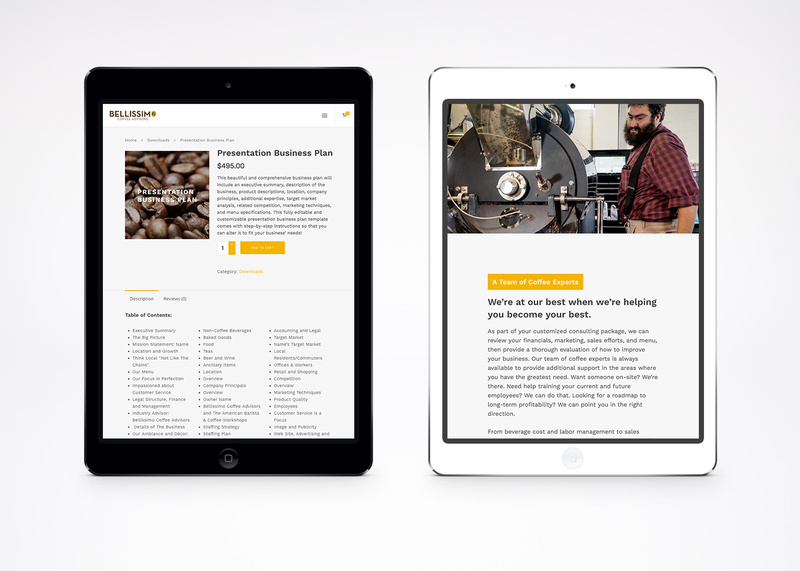 Bellissimo helps them build the expertise they need to succeed in the coffee business. 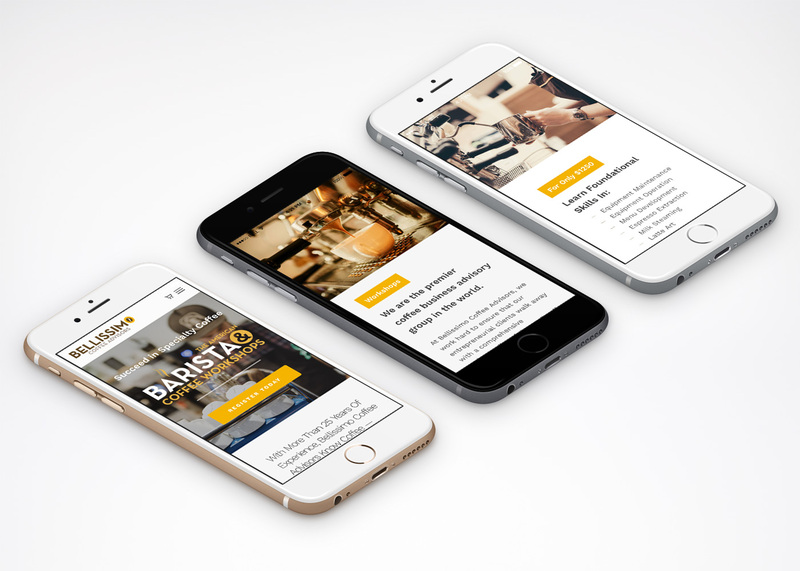 Bellissimo Coffee use their website to help bring people in to register for workshops, purchase store products, and access online barista training, however, they were worried the dated, nonresponsive web design and poor navigability might have been driving people away from using their services. In order to help Bellissimo overcome these challenges, we redesigned the website using WordPress, with an emphasis on sleek, accessible mobile-responsive design that highlighted all of the products and services Bellissimo offers. The new website funnels interested customers on both desktop and mobile devices directly to the products or services they were interested in.